Home/Blog/News/What is Experiential Education at Charles Wright? Experiential education is a longstanding part of a Charles Wright education. 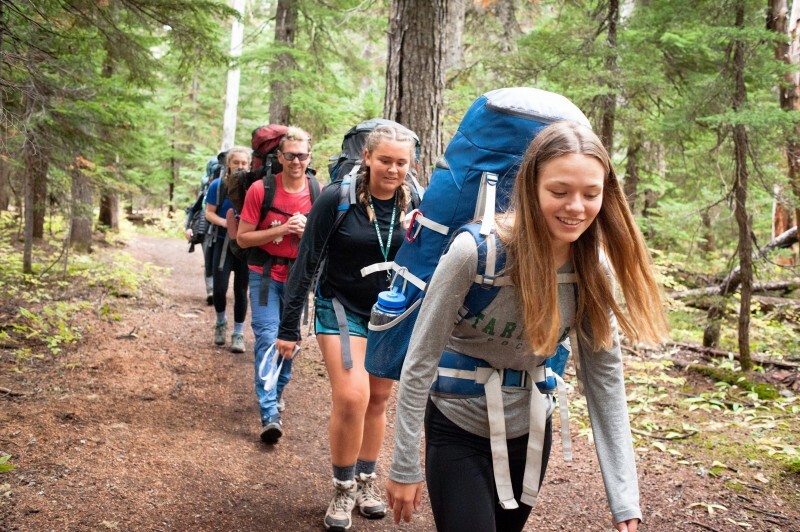 For some people, it conjures images of the outdoors – perhaps the 3rd graders studying watershed at Mount Rainier, 8th graders on the Beach Hike, or 10th graders kayaking during Experiential Education Week. And, yes – that’s all experiential education. But experiential education doesn’t always mean wearing a backpack. Sid Eaton, Head of Middle School and English Teacher in the 1960s, taught his famous “city course” helping students understand the complexity of their South Sound community by taking them to city council, Chamber of Commerce meetings, and union halls. That was experiential education, too. And it has a long legacy at Charles Wright Academy. So what is experiential education? Experiential education is an approach to learning that recognizes that human beings, beginning in infancy, learn from concrete experience. It seeks to curate experiences – and opportunities to reflect from experience – to harness that innate human trait. Great experiential education is not the same as providing experiences. The educational philosopher John Dewey was reported to have said, “We do not learn from experience…we learn from reflecting on experience.” Experiential education provides opportunities for our students to do both. David Kolb, often considered the father of modern experiential learning, built on this insight. He conceived of a cycle of learning – one on which concrete experience should lead to documenting observations, forming new concepts, and finally testing those ideas in new experiences. As an example, visiting Poland on a family vacation may be a wonderful experience, but it’s not experiential learning. What makes our Winterim program in Poland different is the curriculum that provides context to that experience, the structured reflection that happens afterwards, and the intentional design that connects each of these elements. Academic concepts are solidified through concrete experience – it’s the difference between understanding chemistry from the textbook and understanding it through experimentation. Lower school students experience that same deep learning when they move from reading about watersheds to studying them at the Nisqually River. Experiential education also builds many of the “noncognitive traits” that mark successful people in adult life: curiosity, emotional intelligence, collaboration skills. These are traits that are needed to complement content knowledge and academic skills, and are vital to preparation for life. When students get out of their comfort zone with structure and support, they gain the confidence that comes from succeeding at challenge. Academic depth, character development, and the confidence to get out in the world? That’s what I hope for for my children, and for every student at Charles Wright Academy. And that’s why we’re working hard to strengthen our legacy of experiential education. Come see experiential learning in action at our next visit day on campus!